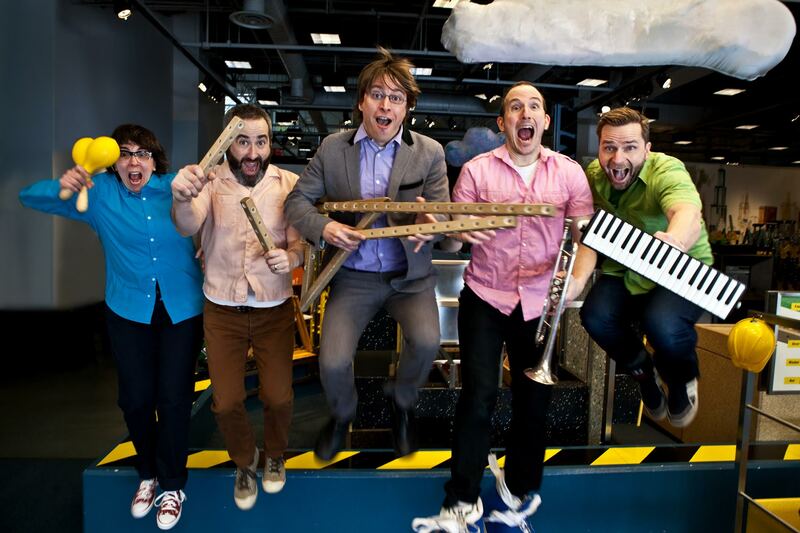 Justin Roberts is a well known and loved kids’ musician. A two-time Grammy nominee, Roberts has been putting out hits since releasing his first album, Great Big Sun, in 1997. 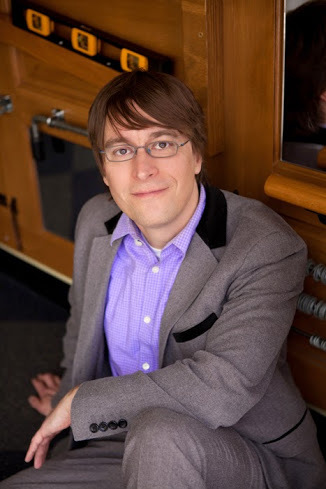 In 2014, Roberts expanded his repertoire and authored his first children’s book, The Smallest Girl in the Smallest Grade, and wrote a score for Hansel & Gretel: A Wickedly Delicious Musical Treat, which premiered at the Broadway Playhouse (Emerald City Theatre) in Chicago. This year, from April 25, 2015 to April 26, 2015, Roberts will be performing a concert with a theatrical storyline called “The Mysterious Hat” at the New Victory Theater. As a writer, I am inspired by Roberts’ work as I too strive to provide a visual experience through my own words. In our interview below, Roberts shares his experience writing music for Hansel & Gretel, thoughts on creativity, and how true originality leads to success. Kids Can Groove: You have expanded your repertoire over the past year, including writing music and lyrics for a musical. Did you read the script for Hansel & Gretel before writing the music versus seeing the scenes played out and then beginning the writing process? JR: Ernie Nolan sent me pages of the script as he was writing it with spaces for songs. I could get a sense of the characters and the story line and write as I was following the story. Did you have to work with the actors or direct them in any way to reflect the intonations you imagined for the songs? Yes, we did a reading in July and I helped coach the singers on how to get the words across. Andrew Fox and I also did that in the studio when we were producing the cast recording. Did you have to write songs conveying the emotion of a scene/capturing the moment versus what a character might be feeling? You definitely have to capture the emotion of the singer to explain his/her predicament. But, more importantly, you have to take the listener on a journey that moves the story from point A to point B. That was really fun to do and to try and figure out how all of these songs could help shape the overall messages of the show. Ernie and I found that working together we had a similar vision and each of our ideas helped each other. It was a really amazing experience. Were there moments when you were creating the music and songs for Hansel & Gretel that you felt vulnerable or out of your element? Maybe because I’d never done it, writing a musical felt totally natural. I’ve seen enough musicals and parodies of musicals (the son singing in Monty Python’s Holy Grail comes to mind) that it felt really natural to write in that style. And because I’m used to getting in characters heads in my kids’ songs, it wasn’t a stretch to write for a witch and a troll too. What is the creative process like for you? How do you move from an idea to a finished piece? I sit down at a piano or guitar and noodle around. When I find something I like I go into Logic and start laying down drum and bass parts to go with it and then start cutting and pasting parts together. Most of the creation of the songs happens while working on the computer because if I hear a cello part in the song (for example), I can make it happen instantly and that is pretty satisfying. Then I usually keep working on it for days or weeks until it seems just right. Sometimes for me that is changing “the” to “that” or something insignificant to everyone else but me. But, when it feels right I stop. What is the inspiration from inside — how do you motivate to create from inside yourself, as opposed to finding yourself moved by external pressures? How literal or metaphorical is your work? I like metaphors, especially when I’m not even sure what they mean. “It’s the snow hanging on to the wire” from “Red Bird,” for example. I’m not sure how that corresponds exactly to the change the narrator has experienced but it made sense to me as I was writing the song. Usually my songs, whether they are about Halloween or recess, are about that but they are also about something else. What’s your relationship with social media? Does it help or hinder your creative process in any way? Like most people I have a love/hate relationship with social media. I feel like I’m addicted to it and use it to procrastinate a lot. I don’t think it helps my creativity. But, I certainly use the internet when I’m looking for the right word or need a list of things in a certain category, so that part of the modern world is helpful. What political or social themes do you hope to/have you explored in your work, if any? I don’t sit down and think “I’m going to write a song about X” but sometimes I’ll be writing a song like “Henrietta’s Hair” and think, “This is really about America and not necessarily just a story about some girl with bugs in her hair.” I care about big ideas like inclusion and acceptance of differences but I try not to hammer people in the head with them. What’s the balance between collaboration and self-expression in your work? I’ve never been able to write a song with another person. I’ve tried a few times but I have to get in a pretty vulnerable space to write and that means thinking no one else can hear me. However, I’m surrounded by musical geniuses like producer Liam Davis, and the whole band who definitely help with fully realizing the vision. 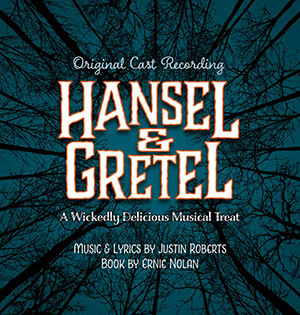 Or in the case of Hansel & Gretel, I did demos of the songs with some arrangement ideas but orchestrator Andrew Fox really ran with it and helped make it feel more like a real musical. How do the different media and formats complement each other in your work and in life? What’s the balance there? Stepping outside my comfort zone and agreeing to write a book or create a musical is scary but when there is a deadline you don’t really have a choice, you just do it. I’m at turns frustrated and delighted. It’s good to challenge yourself. Talk about your growth as an artist over time. How did you start out and where are you now? I’ve grown a lot as a songwriter, though I’m still jealous of the guy who sat down and wrote a song as simple as “Little Raindrop.” Over time, to keep it interesting, my songs have gotten more complex as I’ve started writing more for a band and less for a single guitar. That has been a blast. But, you can tell that the same person wrote the early stuff and the more recent things. Who are your favorite living/working artists? Who inspires you? Songwriters like Nick Lowe, Ron Sexsmith, Brian Wilson, Paul McCartney, Fountains of Wayne. I’m inspired by Mary Oliver and my friend Ned Wyss who is a painter. I love theater, especially little storefronts like the Gift Theatre and Steep Theatre in Chicago that do moving work. Beauty comes in many forms and being struck by something that moves you is a powerful reason to make art. Do you have any advice for people aspiring in your field or creatively in general? The kids’ music scene is a little oversaturated at this point. It’s not news that people are making quality music for families. But creatively there is still room for excellence and surprise. The thing that sets certain groups apart from the hundreds who start kids’ bands every day is true originality. The Pop Ups come to mind. There was nothing out there even remotely like what they are doing and their records are good enough that they could be successful outside kids’ music. That’s pretty cool. It’s an obvious thing to say but “make sure you are writing truly great songs and keep working at it until you are” would be my advice. There is also room in the education element of kids’ music, and some of the “kindie” movement has neglected that too much. I’d like to see more people exploring the the kinds of music that Jim Gill and others have been doing in Chicago, continuing the traditions of Ella Jenkins and the importance of truly interactive music on a young person’s development. What projects do you have coming up that you want everyone to know about? We are performing a concert with a theatrical storyline called “The Mysterious Hat” at the New Victory Theater from April 25, 2015 to April 26, 2015. That will be like nothing we’ve ever done. I wrote a script for the puppets and some brand new songs to help tell the story. Also, I am working on a new record that we will probably start recording in the late spring or early summer. Lastly, the digital version of the Hansel & Gretel cast recording will be on iTunes soon, with a bonus version of “There’s Always Me and You,” sung by Broadway stars Brian D’Arcy James and Jennifer Prescott. It’s super fun! « Make Your Own Irish Drum for St. Patty’s Day with Daria!